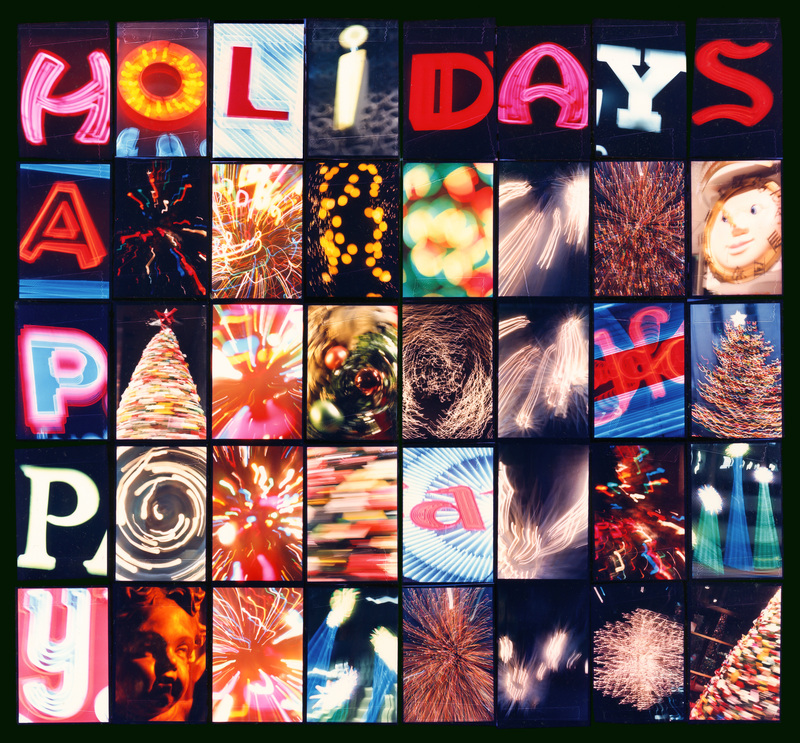 HOLIDAY CARD 1986 is an analog photo collage contact print made from color negative images of New York City holiday decorations, circa 1986. I used long exposure times to create the motion effects. It was conceived as a holiday promotional mailer for friends and clients.